Welcome to Thornwood. My name is Emer and I am the manager of our centre, which is located on Booterstown Avenue. I began my career in childcare after graduating with a BSc. in Education & Training and have loved every minute of it. I started my journey with Park Academy Childcare in 2010 and worked in a number of our centres, before becoming manager of Thornwood. Every day is different here in Thornwood from Show & Tell with our pre-school class in the morning, to JUMP class & clubs with our after-school children. Here at Thornwood, the children have the freedom to make their own decisions and to choose their preferred activities. We like to consider them extended members of the Thornwood team. I love working with children because they never fail to amuse with their stories and funny antidotes. Regardless of my day, I am always guaranteed to go home with a smile on my face! Thornwood is our dedicated preschool and after-school centre which caters for children from three years old to twelve. Our ECCE preschool class runs from 9:00am – 12:00pm each morning, and we also provide a 12:00pm – 1:00pm option for parents who wish to avail of an extra hours care. Please note that this additional hour is not covered by the allocated ECCE funding. The class is based on Park Academy’s OWL Curriculum and its child-led ethos gives children the freedom to choose their own activities to explore their own personal interests. Our ECCE room has a range of different areas from our construction area and home corner, to our reading library and outdoor area. These areas are stocked with a variety of different materials including age appropriate books, role play materials and Montessori equipment. The children also spend lots of time in the garden where they can engage in water play, outdoor games, or sing and dance on their new stage outside. The after-school session begins at 1pm each afternoon and our bus collects the children from a number of local schools. 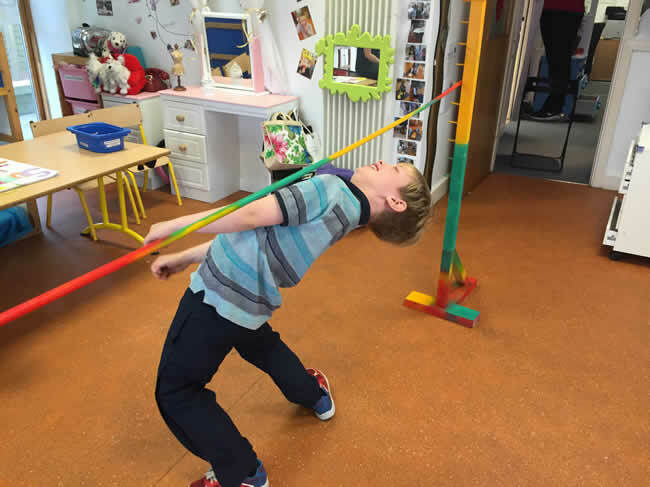 More a club than a crèche, Thornwood’s After-school is a space where children can expand their growing sense of independence in an environment where freedom and supervision are in perfect harmony. Once homework is done and the children have enjoyed a chef prepared hot meal, they are then free to enjoy a range of different and exciting activities, which they choose and direct themselves. From fashion design and Spanish, to gardening and baking the children can develop their skills in many areas and most importantly, have lots of fun in the process! They also get to enjoy weekly JUMP classes and a trip to a fun location each week, courtesy of the ‘Adventure Bus’. During the summer months we provide summer camps for children, with a range of exciting themed activities. For more information on our ECCE or After-school service please contact our enquiries team. As a working parent I dread the day my Jamie has to leave Park Academy’s safe, fun and nurturing environment…I can’t recommend the team highly enough” – Mary Ellen, Parent.